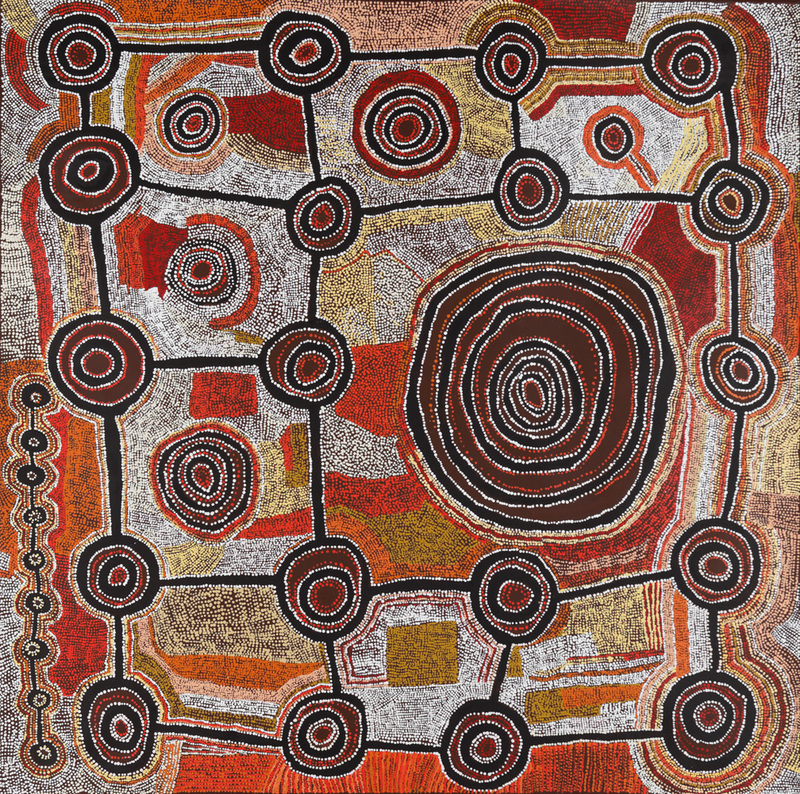 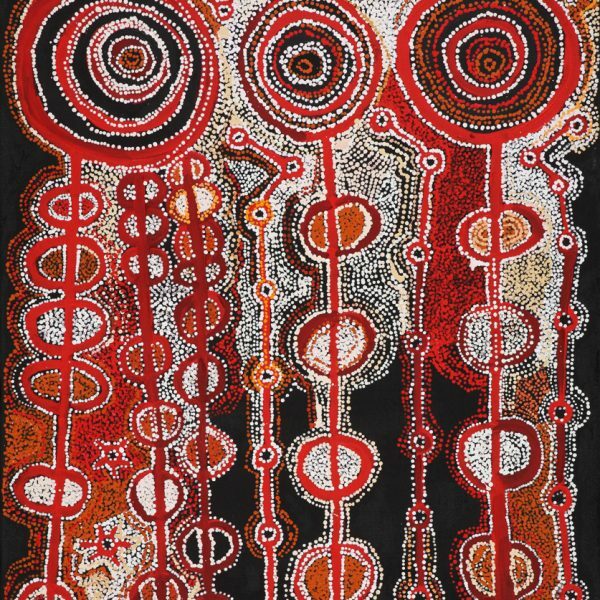 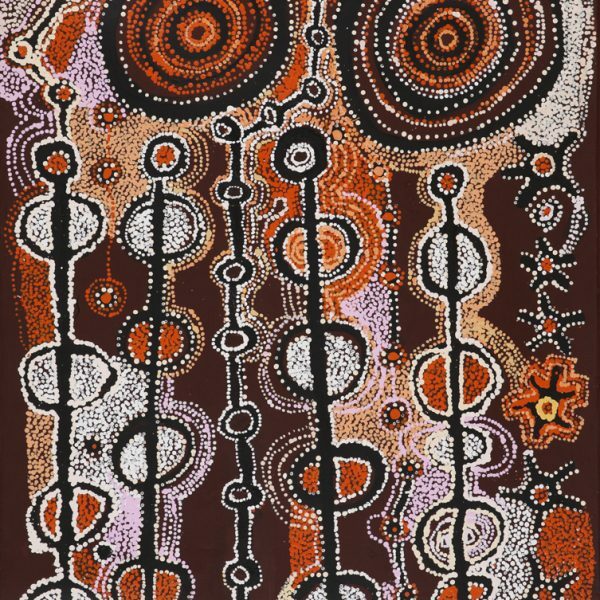 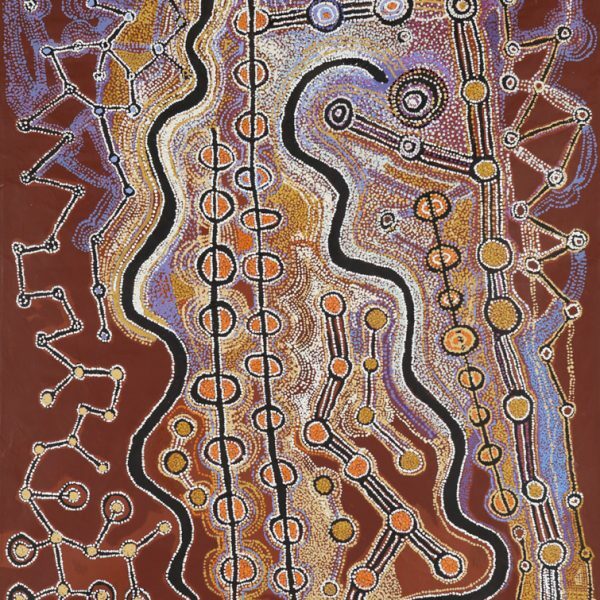 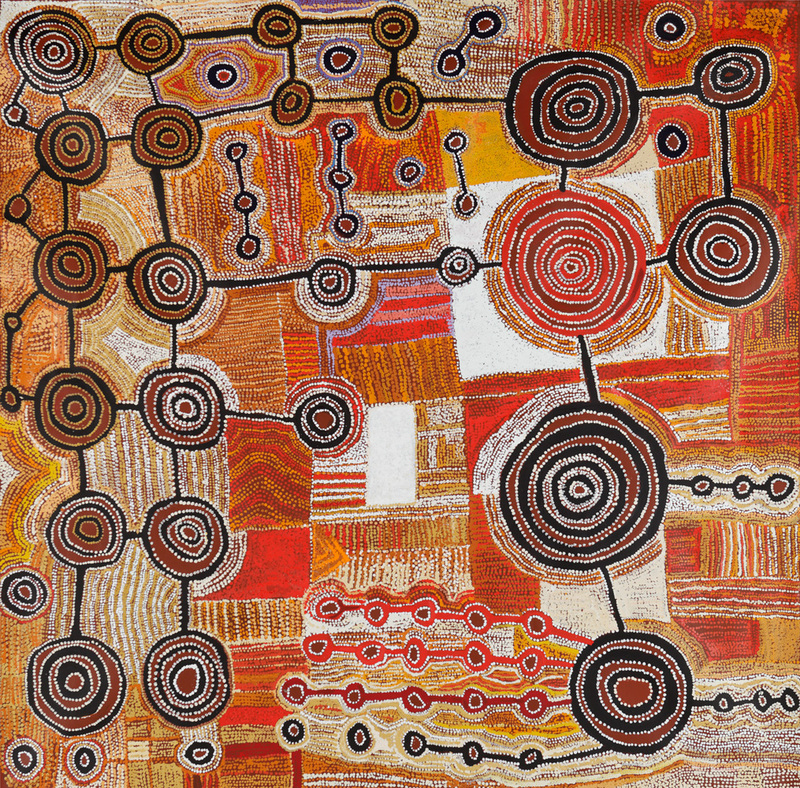 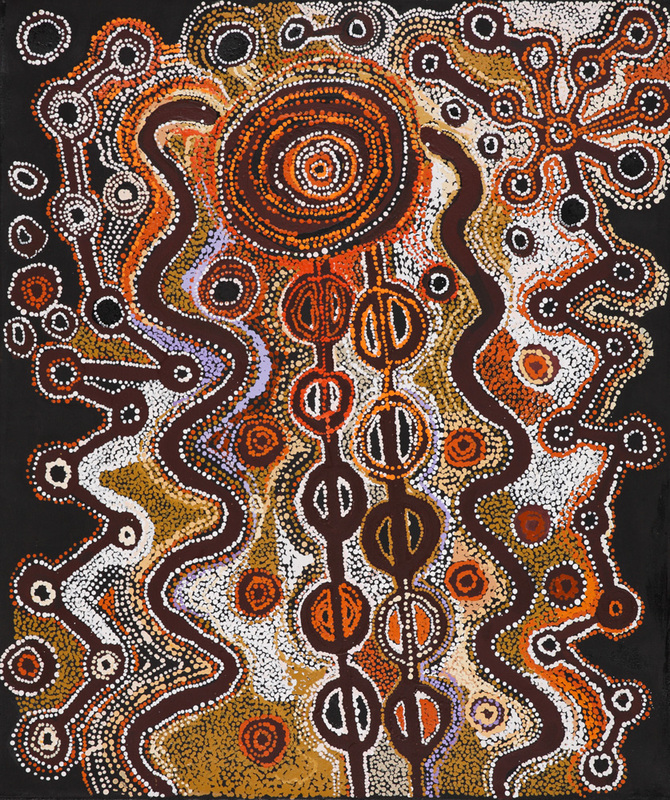 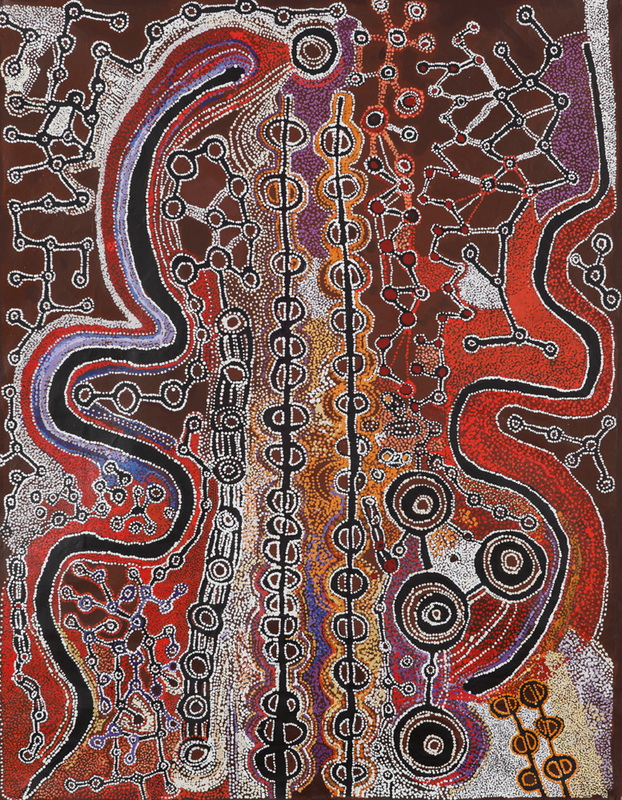 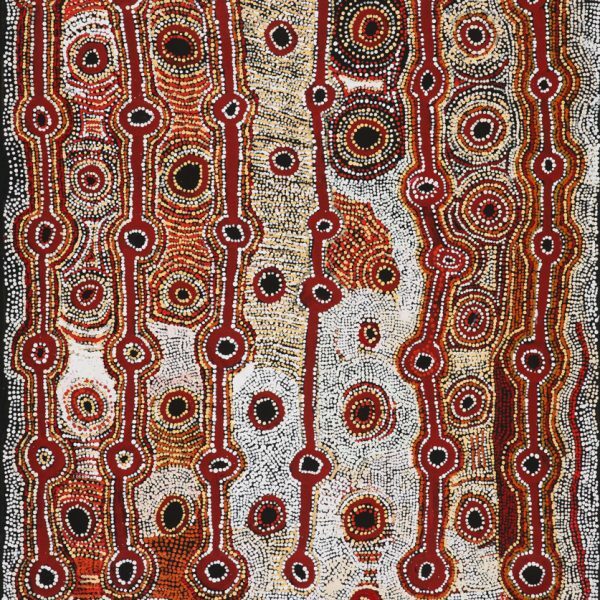 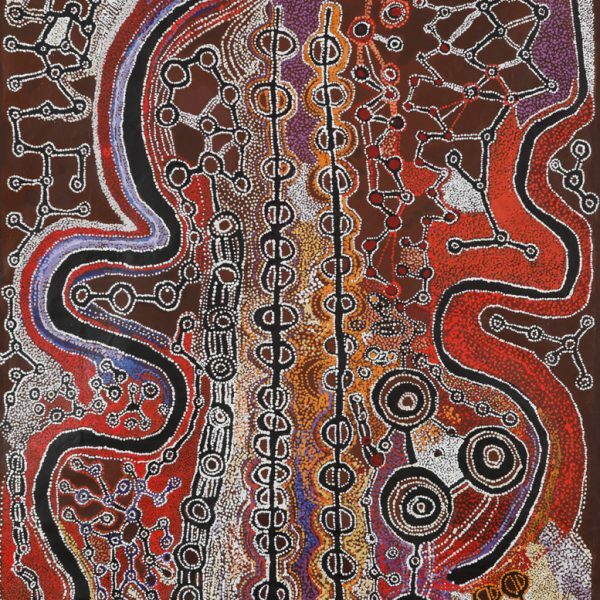 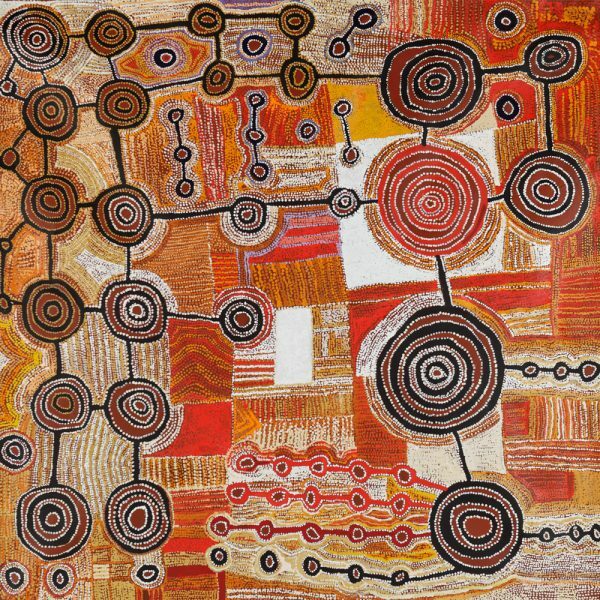 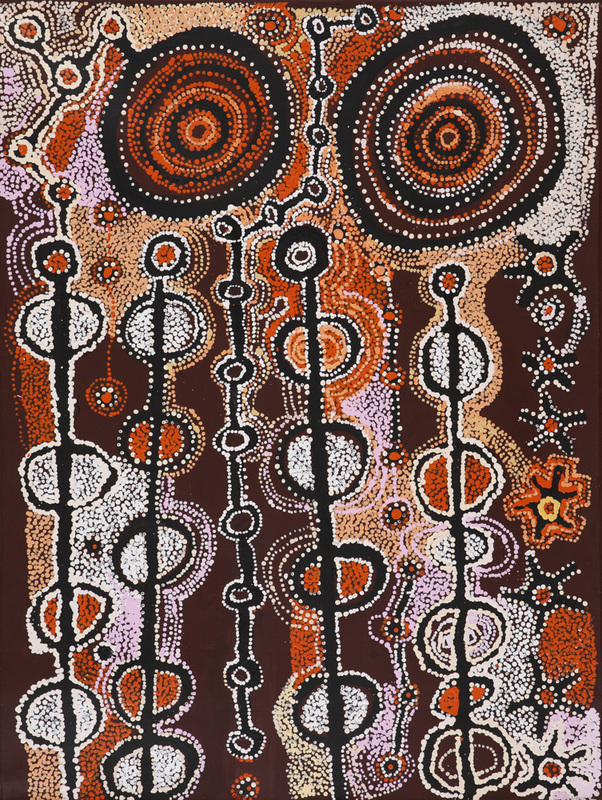 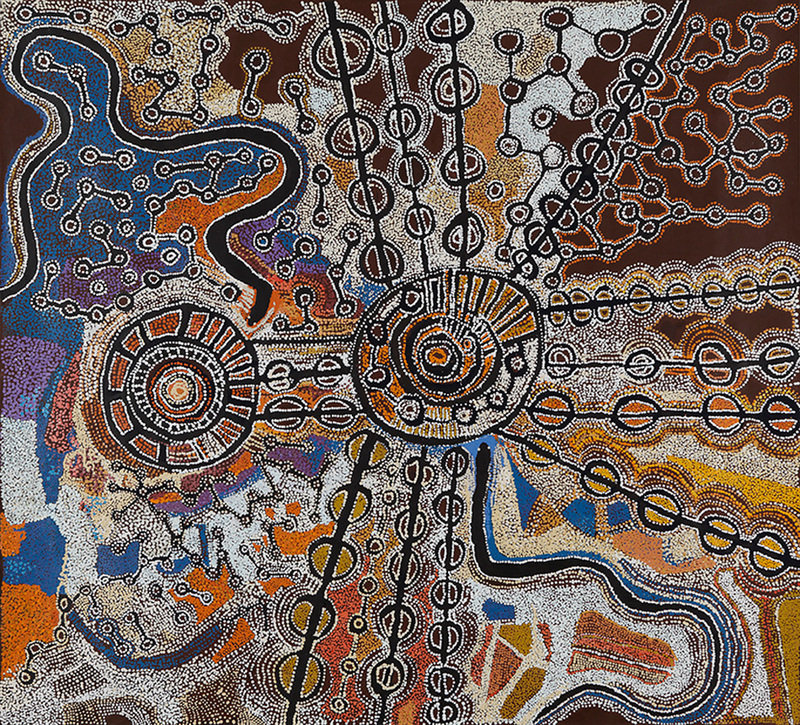 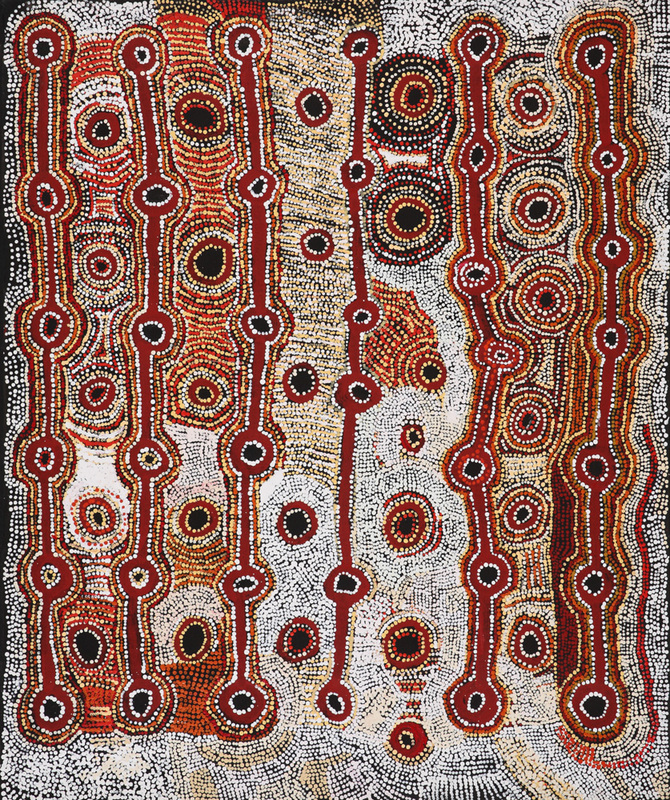 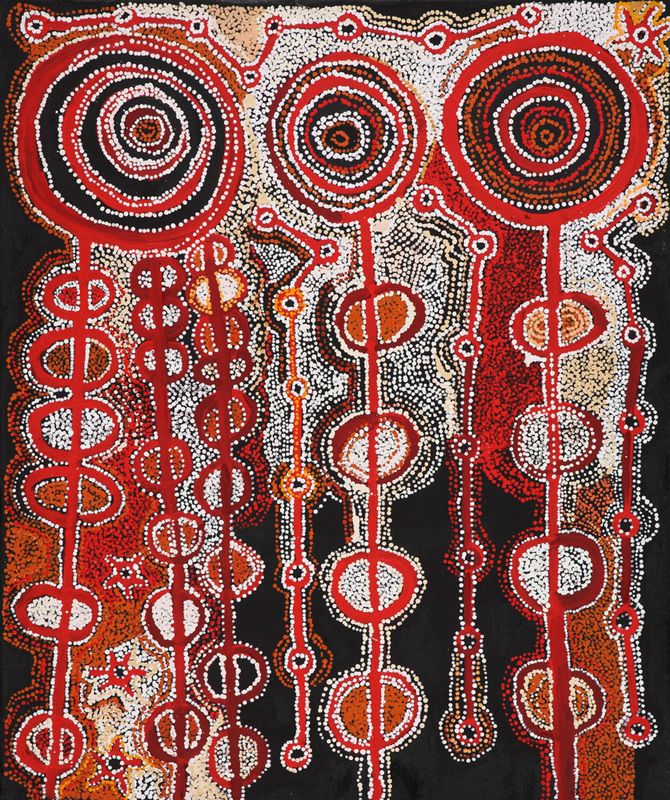 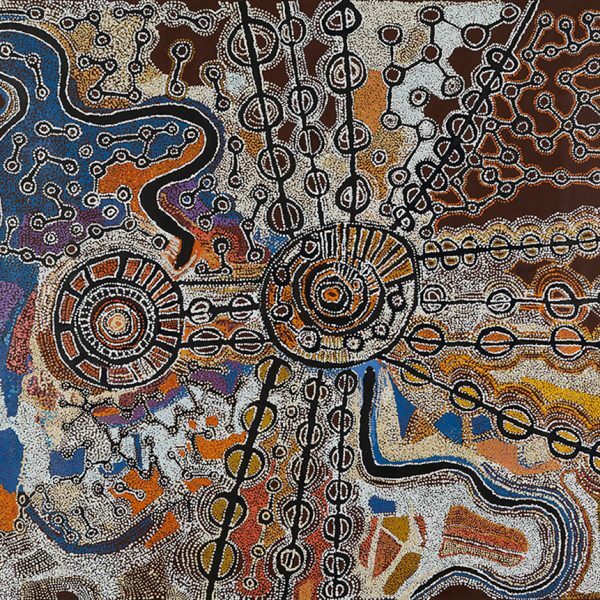 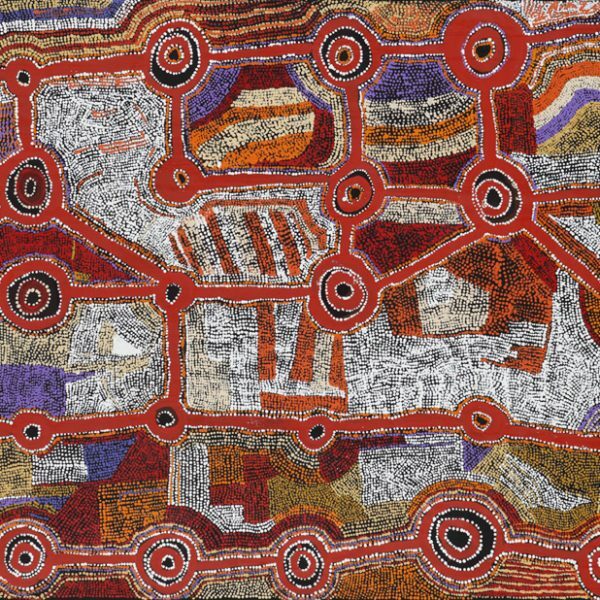 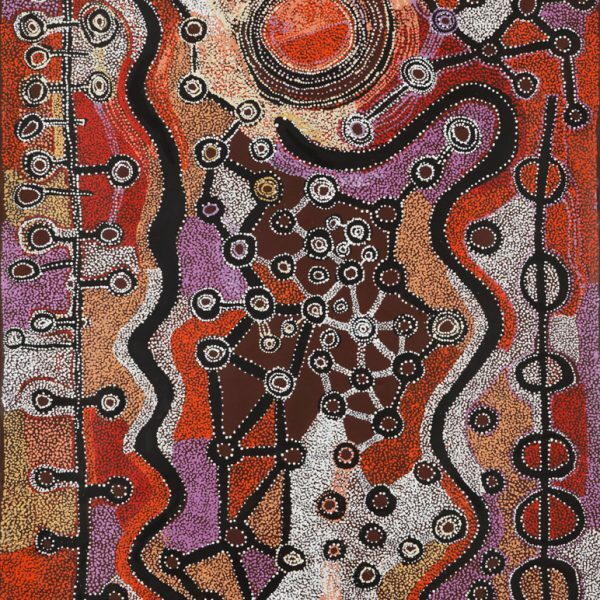 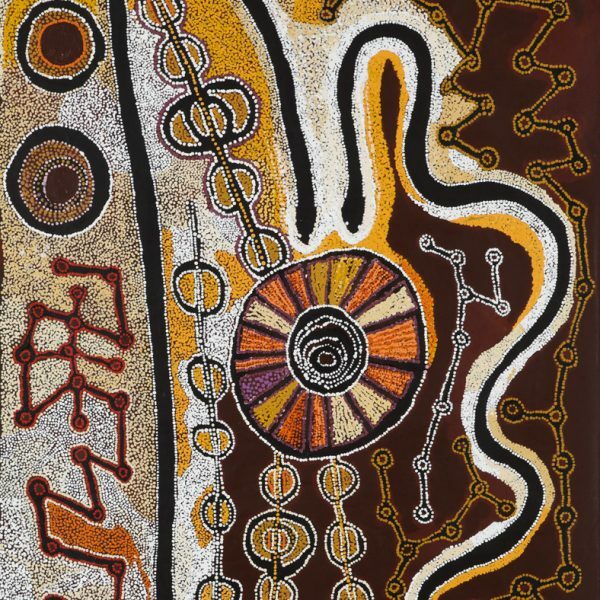 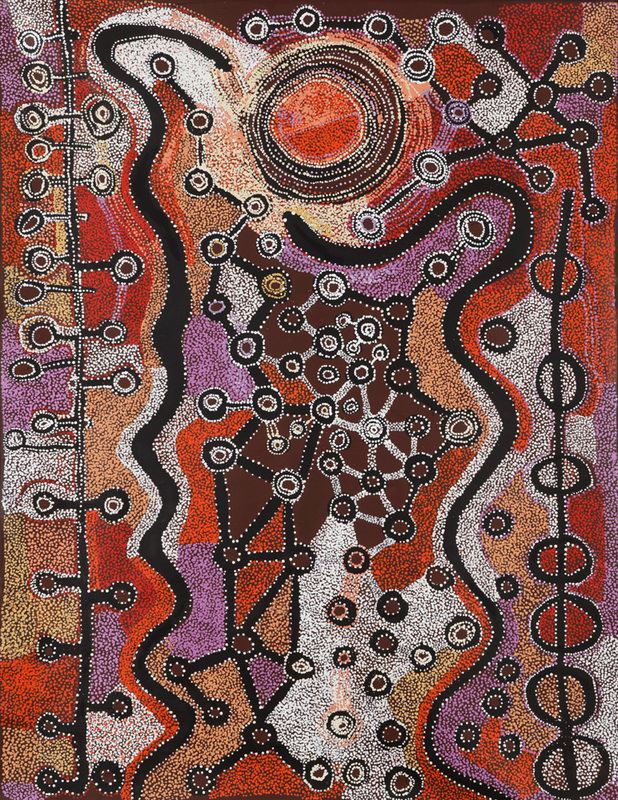 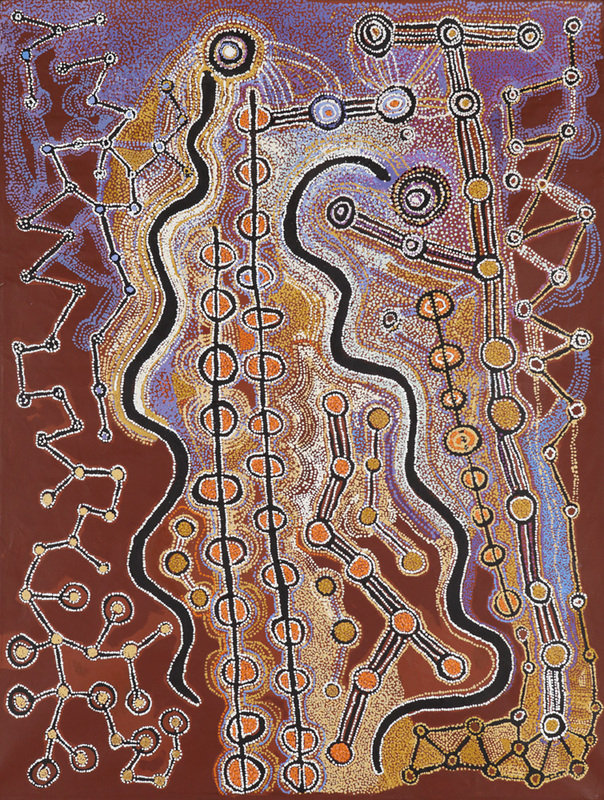 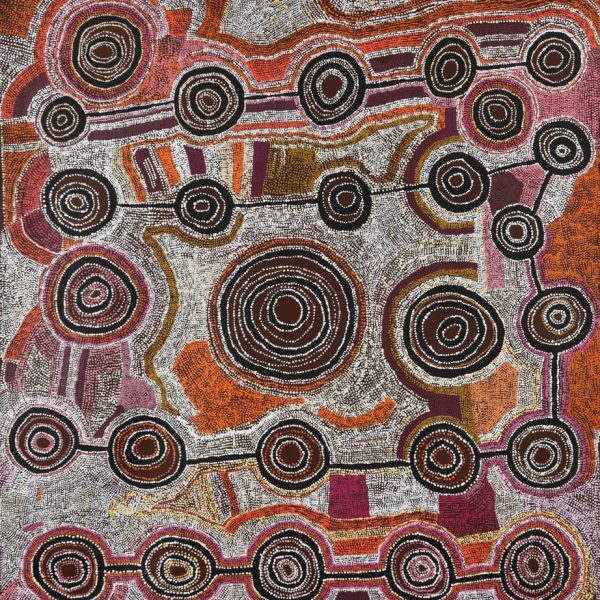 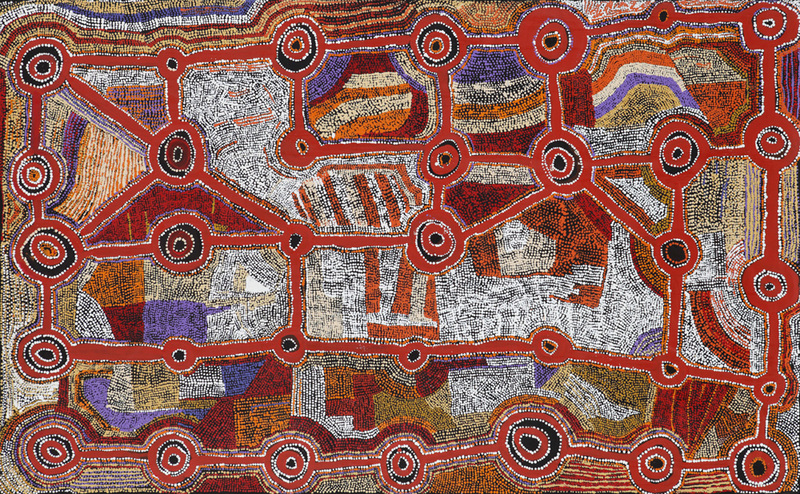 Cherish this opportunity to see the art of two senior men from the remote South Australian desert, hanging together as one outstanding exhibition. 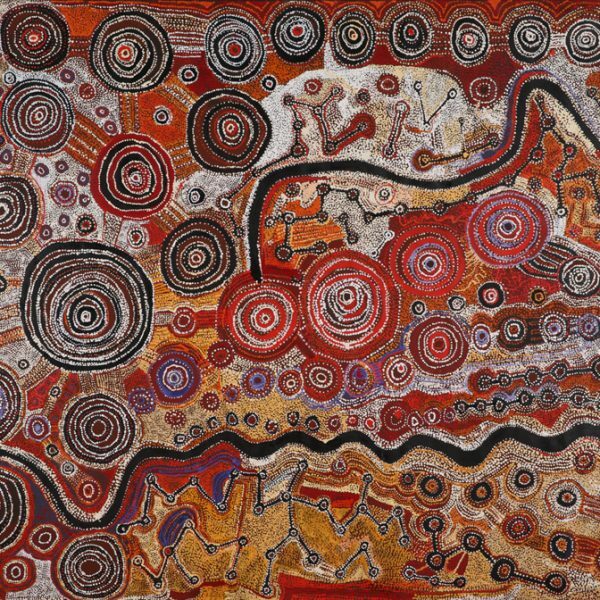 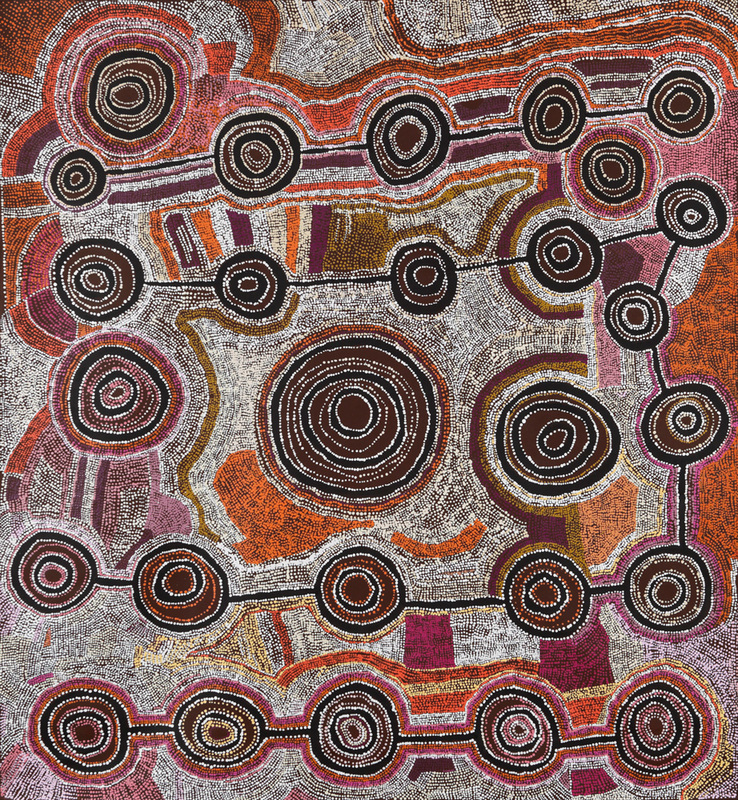 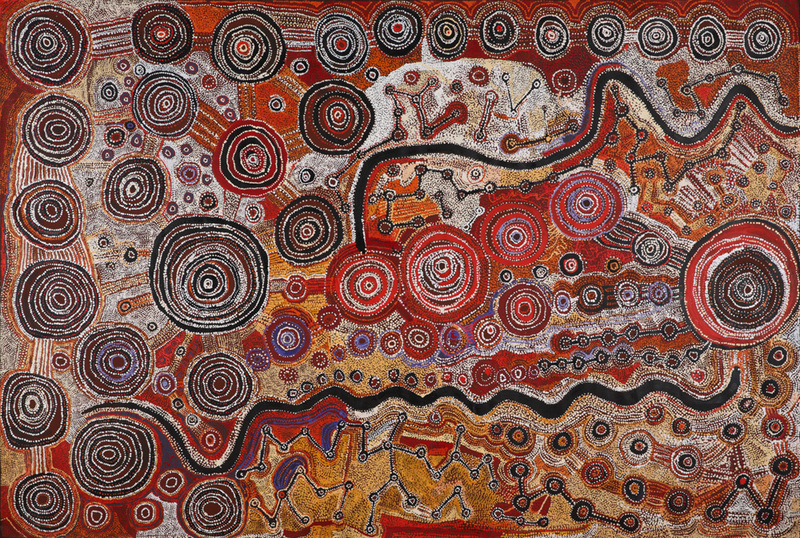 Taylor Cooper and Witjiti George often sit together while painting at their art centre, Kaltjiti Arts, located in Aṉangu Pitjantjatjara Yankunytjatjara (APY) Lands. 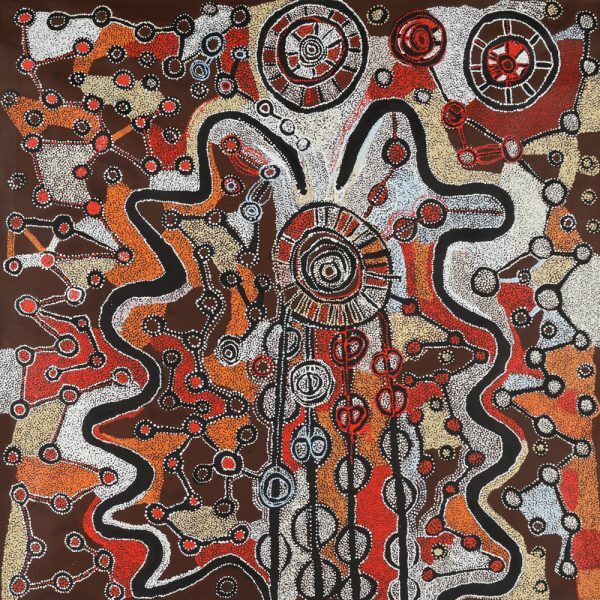 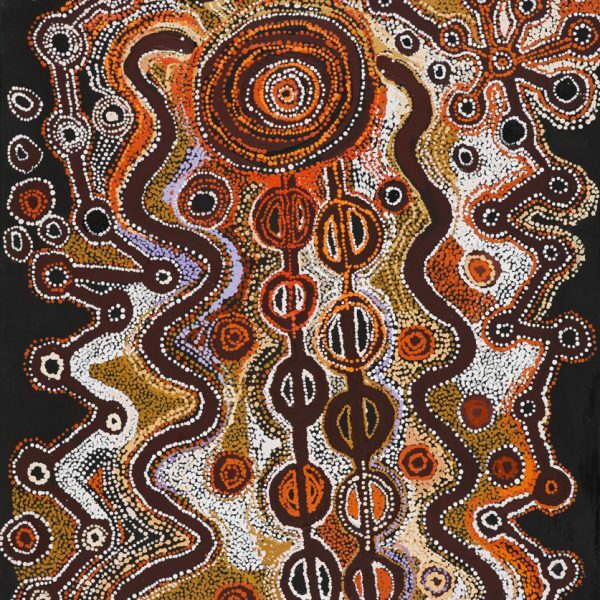 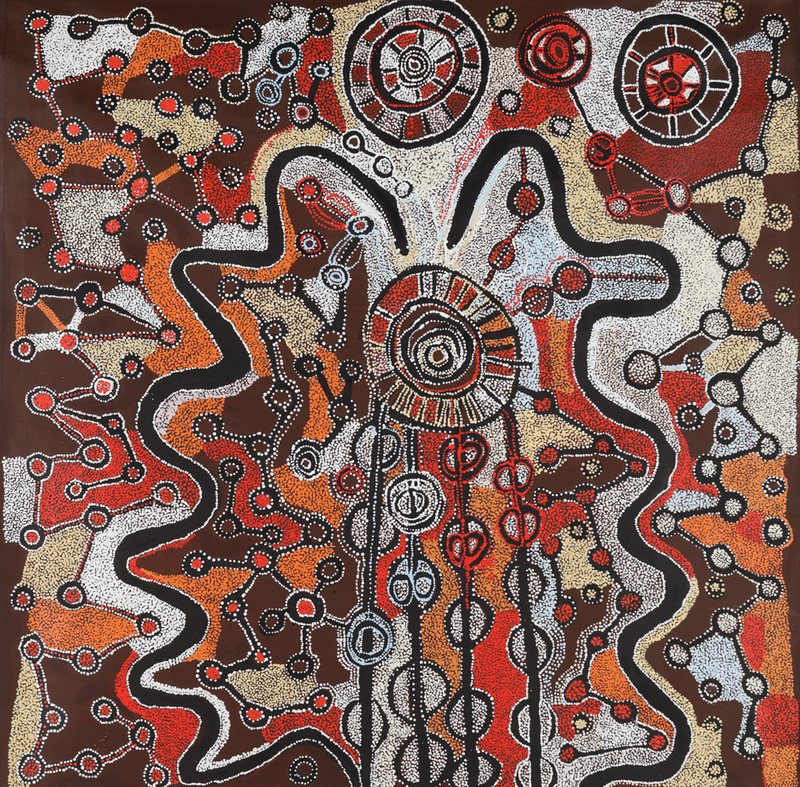 Both artists use traditional iconography to share their knowledge of country and depict Tjukurpa (Dreaming) stories; both use an earthy palette spliced with vibrant colour. 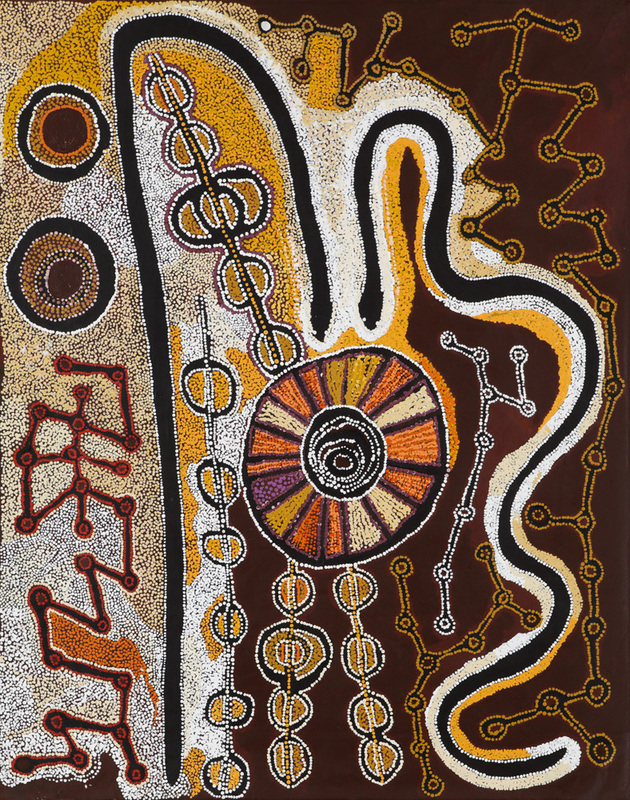 Discover the subtle nuances of their mark making, composition and palette, as they present their works side-by-side – together as friends.